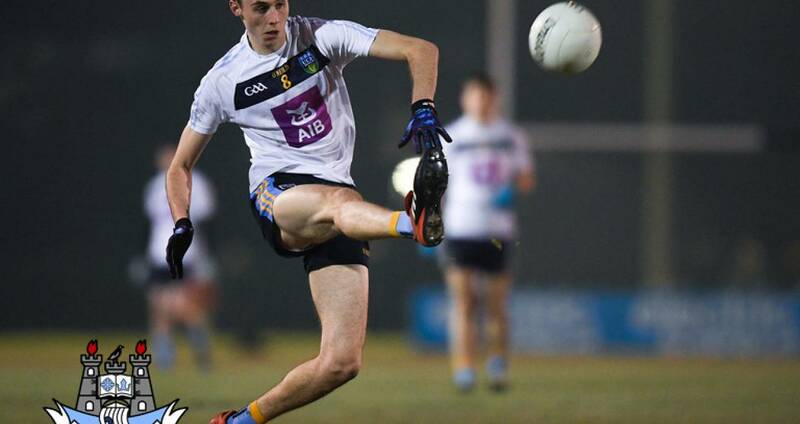 Some of Dublin's latest senior football recruits impressed for UCD in their Sigerson Cup quarter-final victory (2-16 to 1-9) over DCU in David Billings Park, Belfield on Wednesday night. The final two points of the night came from Darren Gavin, who made his Dublin NFL debut off the bench against Galway last Saturday night in Croke Park. Both were standout scores showing good acceleration when coming in off the left wing to fist over to make it 2-15 to 1-9 before topping that with a superb concluding point when he fielded a UCD kickout before sprinting 50 metres and angling over with his left foot as the towering Lucan Sarsfields midfielder finished with 0-4 overall. Dublin senior panelist wing-back Cian O'Connor also enjoyed a memorable evening and covered great ground to apply the finishing touch to an unselfish Con O'Callaghan pass for UCD's second goal in the 40th minute to make it 2-11 to 1-6. Kilmacud Crokes clubman O'Connor also carried one possession 60 metres out of his own defence deep into 'enemy territory' to set up a point for Evan O'Carroll in the last ten minutes. O'Callaghan himself was a key man up front for UCD alongside Laois' Evan O'Carroll and caused problems throughout for the DCU defence. In fact had it not been for the alertness of Dublin's Evan Comerford in the DCU goal the margin of victory would have been greater as twice he denied O'Callaghan from close range. SCORERS - UCD: E O’Carroll 1-8 (1-0 pen, 0-6f), D Gavin 0-4, C O’Connor 1-0, C O’Callaghan 0-2, C McCarthy (0-1f), B McGinn 0-1 each. DCU: D Garland 1-2 (0-2f), B Reape 0-4 (0-4f), T Galligan, M Ruane, M Bannigan 0-1 each. 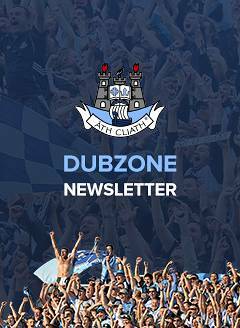 UCD: T O’Brien; B Byrne, M Dempsey, M O’Connor; C O’Connor, C O’Shea, L Silke; D Gavin, S Coen; C Meyler, C McCarthy, L Fortune; C O’Callaghan, E O’Carroll, B McGinn. Subs: B O Seanachain for Meyler (37), F Clifford for McGinn (41), D Kennedy for Fortune (54), BD O’Sullivan for Silke (61), F Connolly for O’Connor (61). DCU: E Comerford; C Morrison, B McCole, J Bambrick; S Akram, C McManus, D Reynolds; T Galligan, M Ruane; D Rooney, L Towey, P Smith; M Bannigan, B Reape, D Garland. Subs: S Bugler for P Smith (ht), J Morrissey for Akram (ht), S Smith for Rooney (41), M Corcoran for Towey (48).